Loving this camera… Still haven’t worked out how to do jewellery. Any tips? It’s always a bit nerve wracking coming back from a course and attempting to implement what you’ve learnt. Often I’m disappointed that I can’t achieve the effects I practiced whilst under the watchful eye of a tutor. However, thanks to the excellent tutoring of Bob Leatherbarrow I’m delighted to have been able to successfully ‘crackle’ at home. Here are pictures of my first piece. 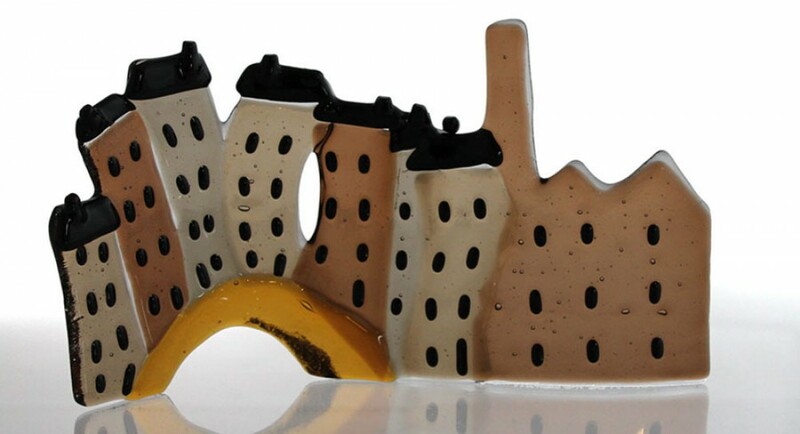 Hot from the kiln and one their way to Spirals (of Hebden Bridge) and my Folksy site are some new items for Valentine’s day. 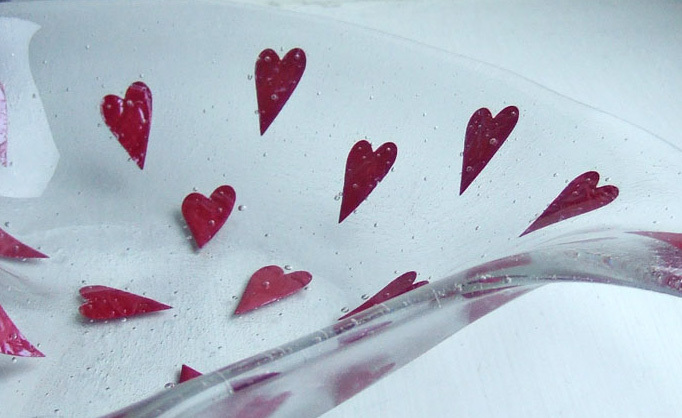 My favourite is this gorgeous bowl full of tiny bubble and hearts. Check out Folksy to see my other items. Cleaning does have its uses. A recent late spring cleaning frenzy balancing on chairs to reach the cobwebs provided my latest inspiration for a kiln carved spiders web dish. 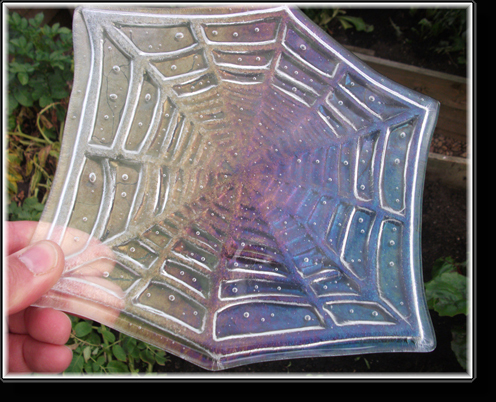 This one is made with iridised rainbow glass which shifts colour as you move it around. Another one for next weekend’s Art in the Pen I think.